We offer our clients a wide variety of high quality Vertical Inner Bend Cable Tray that is manufactured from the premium raw materials as per the strict quality norms. Our range of tray is available in various dimensions to suit the requisites of the clients. 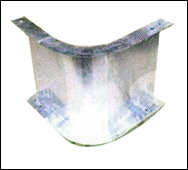 Vertical Inner Bend Tray provided by us is in huge demands in the national and international markets for high durability, performance and low maintenance cost. We offer high quality Vertical Outer Bend Cable Tray, which is manufactured from the premium quality raw material as per the strict quality norms. Our Vertical Outer Bend cable tray is available in various dimensions to suit the requisites of the clients. Vertical Outer Bend Cable Tray provided by us is in huge demands in the national and international markets for high durability, performance and low maintenance cost. We offer Horizontal Bend Cable Tray that are made using premium quality of raw materials. The entire range is manufactured as per the national and international standards of quality measures. These are precision engineered to provide easy access for handling trays assembled using metal longitudinal side rails. All these Horizontal cable tray bends are not only durable and precise but also as per the technical details furnished by the client. 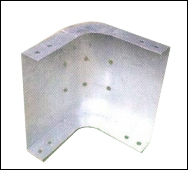 These tray bends are used for the bending of cable trays. 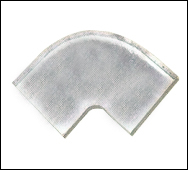 All these tray bends are not only easy to use but also cost effective.